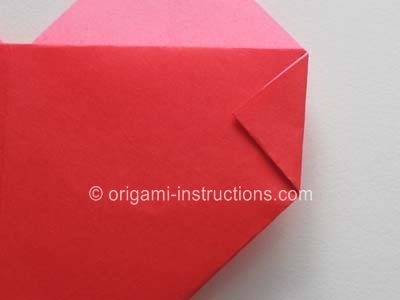 This easy origami heart is perfect for Valentine's Day. 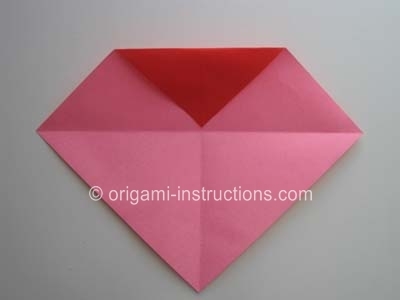 It's very simple to make and perfect for everyone. 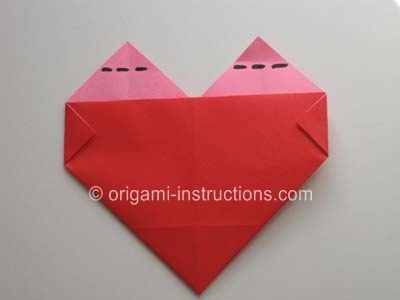 Make one or make 10 and give them to your Valentines! 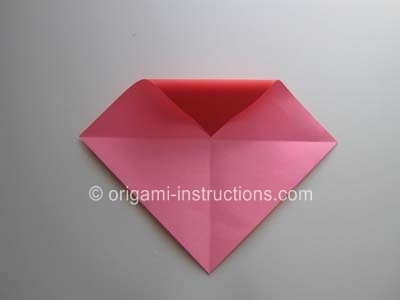 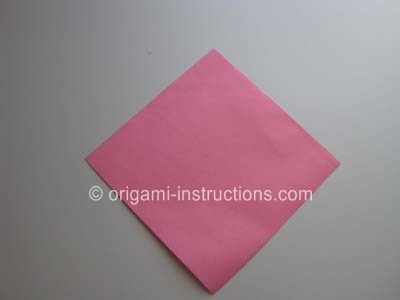 Easy Origami Heart Step 1: Start	with a square 6" x 6" (15cm x 15cm) origami paper color side down. 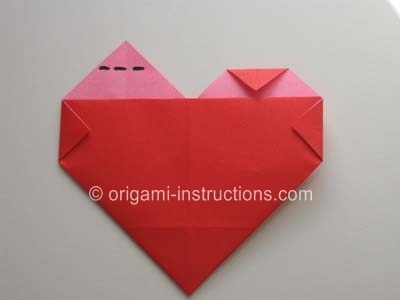 Easy Origami Heart Step 2 & 3: Fold it in half and open it back up. 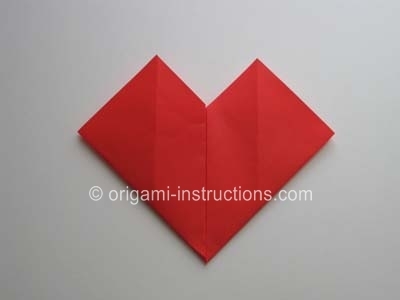 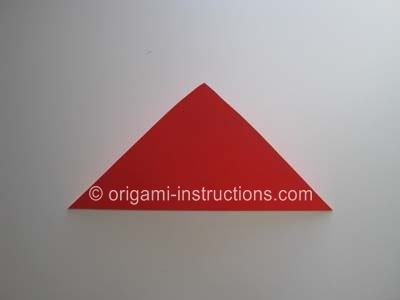 Easy Origami Heart Step 10: Now you will make a fold on the right side. 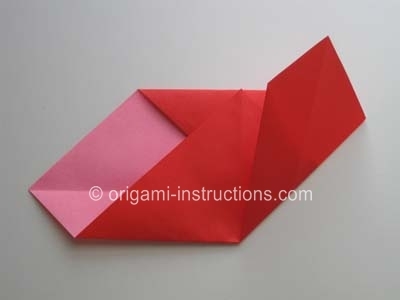 See the dash lines I've drawn on the paper? 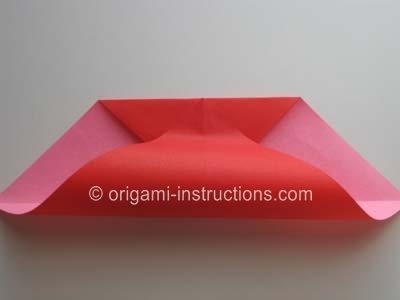 That's where you'll make the folds. 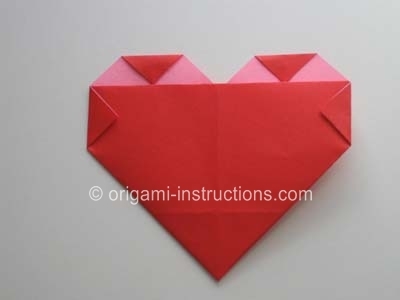 Easy Origami Heart Step 11: Fold the left side now. 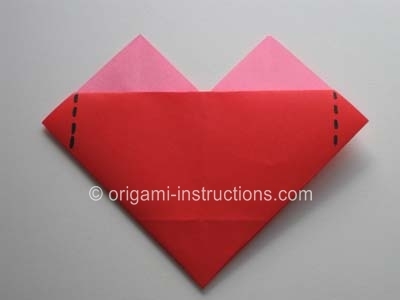 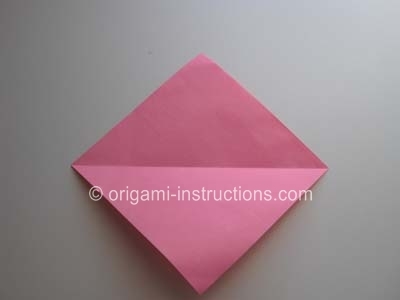 Easy Origami Heart Step 12: Now you will fold the top points. 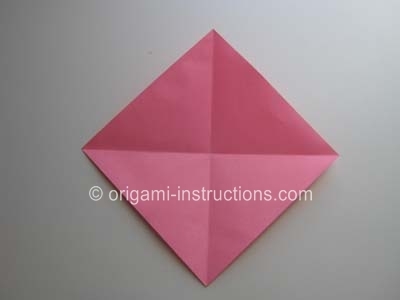 See the dash lines in the picture below? 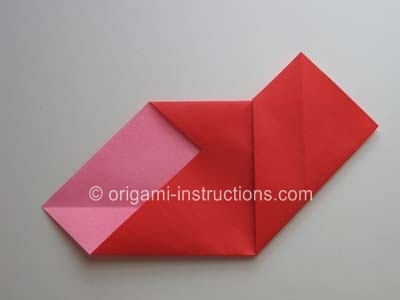 That's where you'll make the folds. 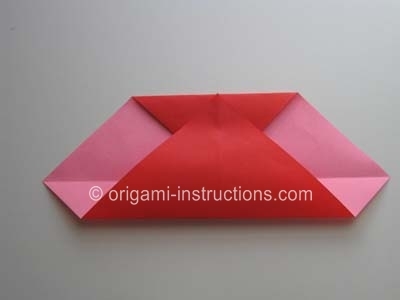 Fold the right side and then the left side. 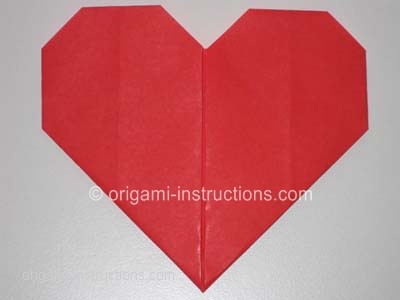 Easy Origami Heart Step 13: Flip the paper over and voila! 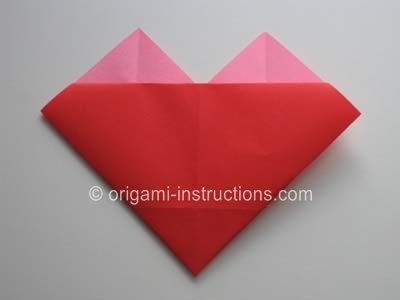 You've got yourself an easy origami heart! 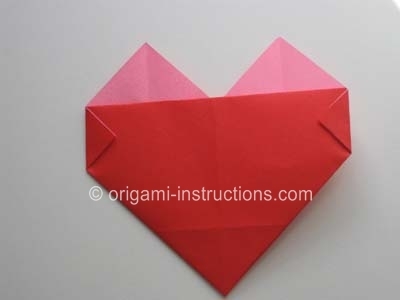 Check out the many easy origami heart photos that have been submitted by our readers!